It’s tough to run a business in North Bay. Many business owners in the city are just happy that they can earn a modest profit and keep their staff employed. But if you don’t have group benefits, you could stand to lose key employees to a company that does. On the other hand, employee benefit plans do have a cost – typically about 15% of payroll in a small business. In the end, an economic case has to be made to business owners about how benefits pay for themselves – and they do. Additionally, 77% of employees with group benefits surveyed would not take a job with a company that does not have them. Now do the math – 15% of a $40,000 salary is $6,000. You can easily attract and retain someone who is used to a larger salary in another city if you have one thing – benefits. And there are ways to cut costs on benefits that your insurance advisor can help you with. 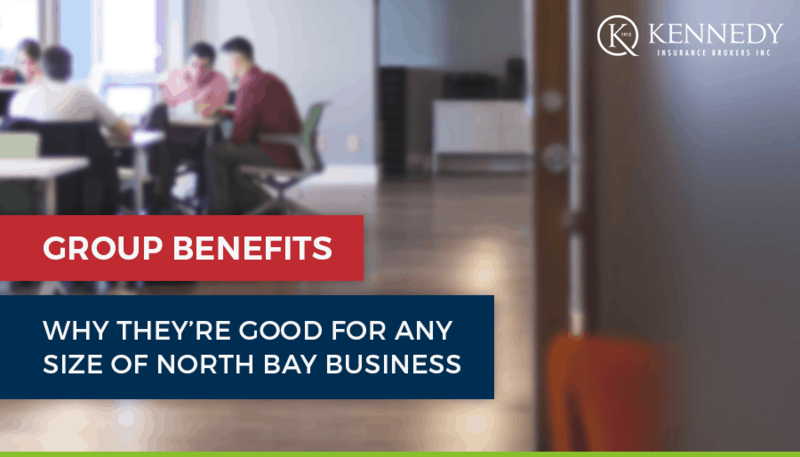 You know what the financial hit is like if a key staff member leaves to your business – retaining top talent is important, even if you are in an economy like North Bay with a competitive job market for employees. The cost of training, the months an employee takes while they learn about your company, and hard costs like changing over IT and phone systems add up very fast. Benefits play a key role in employee retention. Even if your business has a staff of one, you can take advantage of the benefits of a group insurance plan – and the associated lowered costs. An insured employee is a happy employee – many group benefits plans offer mental health support, which is increasingly in the spotlight as a key health and wellness issue in the workforce. Generally, they’ll rest easier knowing that basic needs such as vision care, medications, and dental procedures are covered. And most importantly – they won’t jump ship for a company that does offer benefits. Contact us today to find out more about how Kennedy can help your business find the most cost-effective group benefits plan.